We know that we are supposed to have renewed minds. It is not only a command, but it is a promise that is the key to living as God truly created you to be. But, what are the specific steps to actually renew your mind. 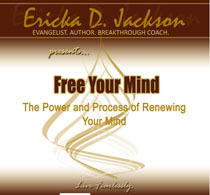 Ericka shares these steps in this life-changing teaching as a part of this Power Pack. 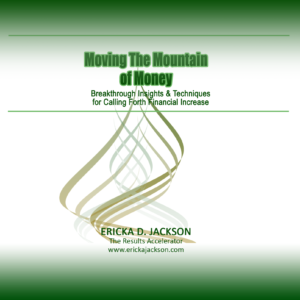 How do you begin to shift from the reality of lack into the reality of having overflow in the area of finances and beyond? 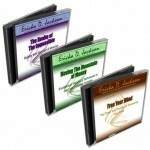 Ericka shares the insights and techniques the Holy Spirit share with her that will usher you into a new reality of having more than enough in this powerful teaching. There are two realms that exist side-by-side. In one of these realms, you can access miracles and learn how to do things that seem impossible. We know that we are supposed to be experiencing the impossible on a daily basis, but HOW? 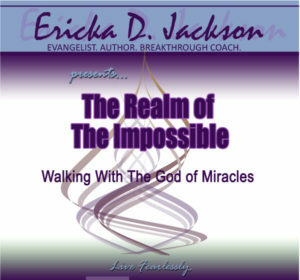 Ericka shares the process of stepping fully into the realm where impossible things become your norm in this teaching. You will receive an email with the links to the audio downloads as soon as you order. Enjoy!